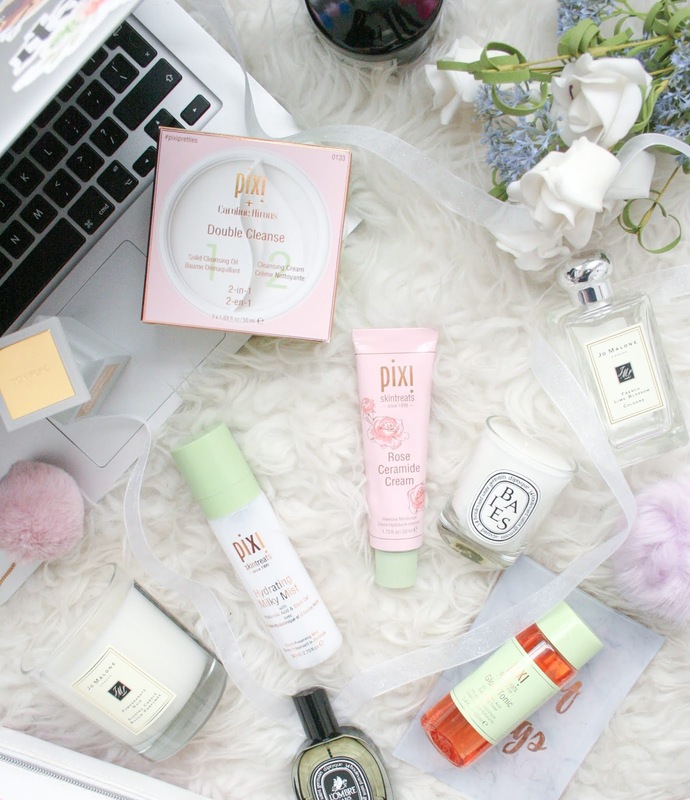 Pixi Skincare was always something I had seen in the blogger land for years and throughout them years I didn't really have much of an interest in skincare and I wasn't one to invest in some good skincare products. However as you get older your taste changes and you realise sometimes spending more money on certain products is for a reason. Now of course I'm not dragging budget brands because there are some great little hidden gems you can find in the skincare aisle at Boots but sometimes on certain things there's a reason some products have a higher price tag compared to the brand next to it. Sometimes it's just because the brand is so over-hyped but sometimes its the quality. Getting slightly off topic back to Pixi. So I finally rounded off a few little products to try and have been doing exactly that over the past few months and I decided you know what, lets do a little round up of everything I've been trying to let you know what worked for me and what didn't. This was one of the two products that I really really wanted to try after hearing so many amazing reviews about it. Literally when I finally got it I couldn't wait to go home and try it out straight away. Consisting of half and oil based cleansing balm and half a cream cleanser, the two step system helps remove all traces of makeup from the skin leaving it ready and prepped for the next step of your skincare routine. Right so lets start off with I have sensitive, slightly dry skin so I try to avoid overly fragranced products because they tend to irritate my skin. This however has no scent to it which is a win and the products are so fab. Okay so the cleansing balm literally has all your makeup melted off your face within seconds. I will admit it takes off waterproof mascara and eyeliner etc but I absolutely hate oily things on my eyes so although I have used it on my eyes many of times I do tend to just take my eye makeup off with micellar water just because I freak out at the oil near my eyes (idk why maybe I'm weird). So then you simply wipe that off with a damp muslin cloth and then go ahead and use the cream cleanser which leaves my skin feeling so clean and soft I'm obsessed with it. You only have to use a coin sized amount as it spreads very well. I've also been using the Rose Ceramide Cream. Which is described as an intensive ultra rich moisturiser. This obviously smells of roses and is so delightful. It is quite intense and a rich consistency so there would be no way I personally would be able to use this in the mornings as it would take way too long for it to soak into my skin, especially if I was getting ready for work. So personally I only use this as a night moisturiser because it has all the time in the world to soak into the skin while I sleep. The product is extremely hydrating and leaves your skin feeling so soft and refreshed. With the ingredients inside it also helps with improving the skins elasticity aswell as protecting the skin against environmental aggressors. For those lazy days when you really just can't be bothered with a skincare routine (don't lie we all have many of them....right?!) the Hydrating Milky Mist is my go to product. This is described as a "deeply hydrating mist that provides an invisible layer of skin-soothers, making it the ultimate remedy for dry skin" and I totally agree 100% with the statement. When I'm feeling lazy or even just throughout the day on no makeup days when I feel like my skin just needs something I simply spritz this all over my face and neck and it just helps soothe any skin that may be irritated or dry and just adds that little bit of moisture to it. It also contains Hyaluronic Acid to plump skin too. Finally the ever so famous Glow Tonic. So this was the product I was hyped about due to how hyped up of a product it is but I'm just going to go straight to the point and say unfortunately this did not work for me. I used it for a solid month but within that month my skin went haywire. This seemed to have been way too strong for my sensitive skin and ended up just overall messing up my skin for a month. I tried to deny it was this product but at the time of using the product it was the only new skincare item that had been added to my usual skincare routine. However although the Glow Tonic didn't work for me I may try out one of the different ones they have to offer in hopes that they might work with my skin but sadly this one just was not for me. I mean 3 out of 4 products isn't a bad try. I really was so annoyed at the fact that the Glow Tonic didn't end up working out for me but I am glad that I liked the other three products that I have been using. Overall I would definitely recommend the skincare brand to anyone looking to venture out and start investing into their skincare products. Prices for the products range from €15 upwards with the most expensive product currently €34. In the future I can definitely see myself trying out more from their skincare range and eventually venturing into their makeup range. 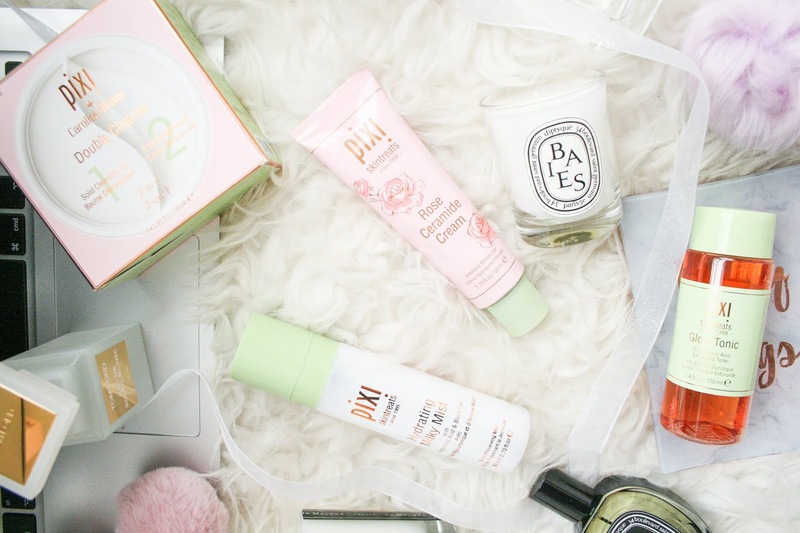 Have you tried Pixi Skincare yet? I have loved every single pixi product that I have tried! I'm obsessed with their pixi glow tonic, and their corrector which I use every day! I have a massive wish list from them and so many things I need to try!